The boys are on Spring Break. Travis had them do some research on Ancient Mesoamerican History. They are making Alebrije, which are brightly colored Mexican Folk Art Sculptures of fantastical creatures. They started out with writing about their character, then drawing it, and now they are building it out of paper mache. 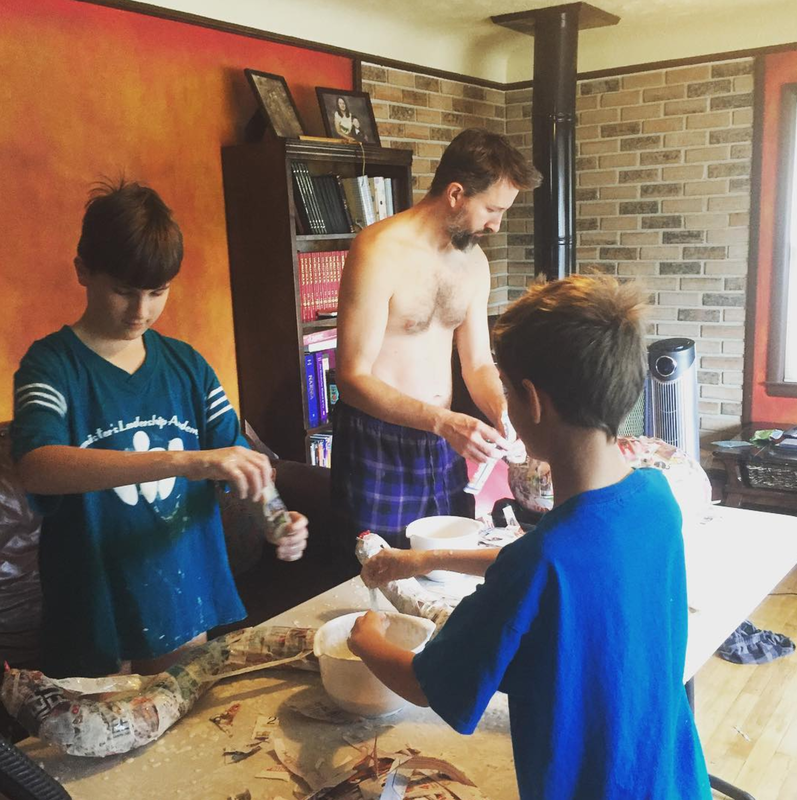 Paper Mache is fun but it's been decades since I did one. That is so cool. I never could do one. Great idea of using paper maché to make the figures. Lots of paint and they'll look professional. 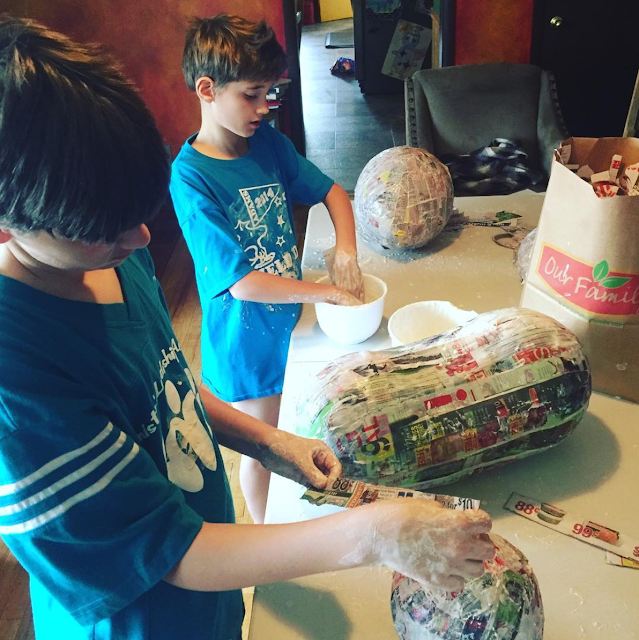 Paper maché is one of the most fun mediums for kids to work with. The mess is worth getting creative with the kids! What a great project! Will you show us the end results next week? Nothing better than Paper Mache!! Thank you for linking up at Impulsive Artistry! Spring break in MARCH? We are on ours this week. Not going anywhere or doing anything, but still.